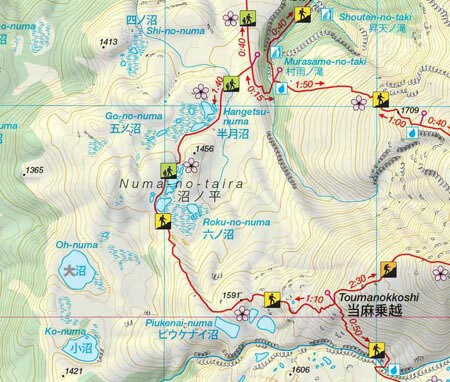 This map was created in close collaboration of Swiss and Japanese specialists and shows on one side at scale 1: 25,000 the main trekking area around the Onsen villages of Asahi-dake and Sonkyou with all aspects of a topographical map, including a hand-painted shadow relief. 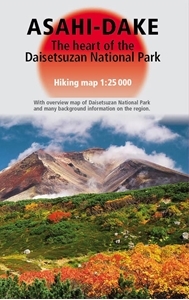 On the reverse side the user gets information on the Geography, Geology, Flora and Fauna of the area. 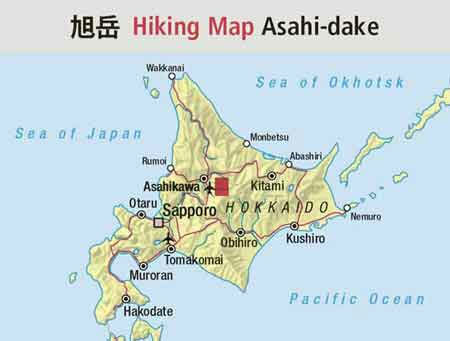 Important information for visitors together with an overview map of the whole National Park and two detailed maps of Asahi-dake and Sonkyou complete the description.